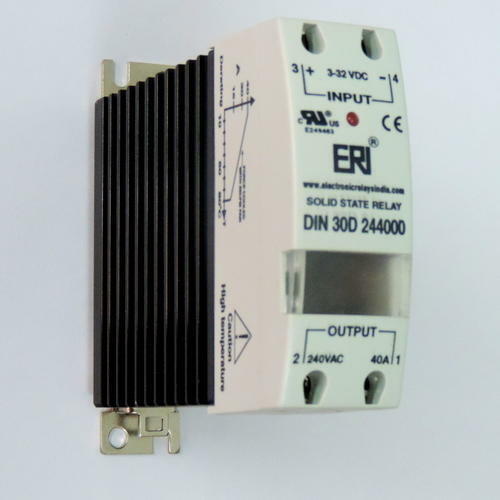 We offer DIN Type SSR for 10-40 Amps in 30 mm and 10-30 Amps in 22.5 mm (240/480/660 Vac). If any queries, feel free to drop a mail or call us. Under the able guidance of experienced professionals, we have been able to offer DIN Type Solid State Relay to our valuable customers. These relays are widely used as electronic switching devices in various industrial applications. Being a quality conscious organization, the optimum quality of our product range is never comprised upon and is attained through quality checks conducted by our team of quality controllers. We offer DIN Type SSR for 10-40 Amps in 30 mm and 10-30 Amps in 22.5 mm (240/480/660 Vac). If any queries, feel free to drop a mail or call us. Looking for “DIN Ready SSR”?